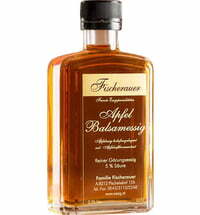 The delicately fruity red wine vinegar is made from regional direct carrier grapes (from Burgenland). The fresh scent is reminiscent of berries and wild grapes. The flavor is spicy and aromatic with a long lasting grape note. A tasty experience for every salad.